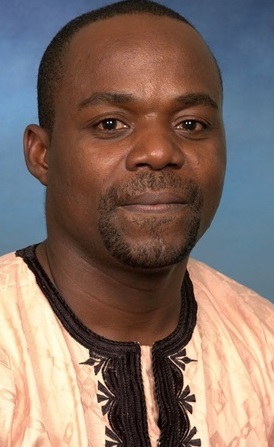 Professor Christian Onyeji joined the Department of Music, University of Nigeria, Nsukka as a Graduate Assistant in 1992, being the best graduating student in his class. He rose through the ranks to become a Professor of music in 2009. He holds a Doctor of Music degree from the University of Pretoria, Republic of South Africa, a Master of Arts degree in composition, a Bachelor of Arts Degree in Music as well as a Diploma in Music Education from the University of Nigeria, Nsukka. Christian is an internationally recognized music composer, educator and scholar from Nigeria who specializes in Research-Composition, a compositional approach that applies ethnomusicological procedures in the composition of modern African art music that is a logical continuum of African traditional music. His numerous compositions for different media have been performed within and outside Nigeria and have been well received. He is a researcher on African music as well as composes from the African stock. He has made contributions to modern African art music for symphony orchestra, drummistic piano style of modern compositions for the piano, choral compositions, solo voice and piano compositions. His Christmas Choral composition titled “N’ihi n’amuworo ayi otu nwa” published by Oxford University Press has been performed by different choirs of the world including the Mommon Tabernacle Choir, the world’s best choir. The postings on the internet reveal the great success made by the composition. His choral composition titled “Omenala bu ike”, composed for Imo State Council for Arts and Culture, Owerri (ISCAC), entry to the 2007 National Festival of Arts and Culture (NAFEST), took the first position and the gold cup. He is a regular composer for Imo State Council for Arts and Culture and churches. Christian developed the Research-Composition process of African art music composition used in different institutions. He also developed the Drummistic piano style of composition and African Vocalism style of vocal music composition from the Nsukka Choral School, also developed by him. Christian Onyeji was awarded the National Research Foundation of South Africa and North-West University, Potchefstroom, South Africa Research Fellowship from 2007 to 2010 where he pioneered the research, documentation, scholarly articles, etc on the music of Batswana tribe of South Africa.